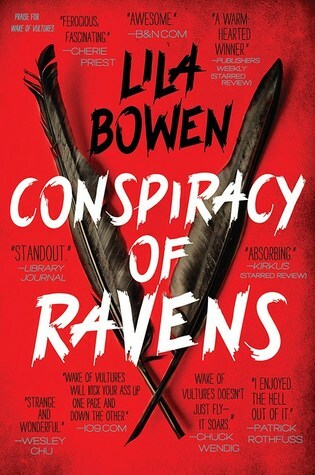 Conspiracy of Ravens is the second installment in author Lila Bowen (aka Delilah S. Dawson's) The Shadow series. The book picks up right where Wake of Vultures left off. Nettie Lonesome had just realized that she could choose to be who she wants to be, that being transform into both a boy and a giant bird. 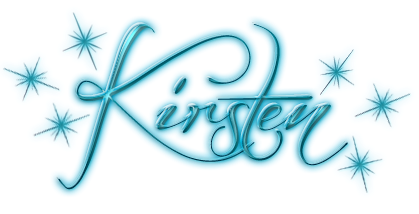 She jumps off a cliff in order to literally spread her wings, lands as Rhett Hennessy and soon finds another shapeshifter named Earl O’Bannon. At first there is some antagonism between the two of them, but Earl does tell Rhett a few things, including the fact that there is a railroad owner by the name of Trevisan who likes to cut limbs off monsters that he employs in order to use them in magic rituals. Whether the protagonist be Nettie or Rhett, as the Shadow, they share a stubborn streak that can get them into trouble at times. Rhett decides that Earl’s story should be investigated and so takes him to the Durango rangers. Along the way, Earl assists Rhett in gaining more insight into his transformation and helps him learn how to remember what he sees as a bird after he changes form back into a man. Going to see the Rangers gives readers the opportunity to catch up with a few characters from the previous book including Sam, the Coyote siblings Dan and Winifred, and The Captain. The Rangers have taken a commission to hunt down Sand Wyrms and this job will take them far away from Earl and Rhett’s destination. Rhett has to choose between going with the Rangers or act as The Shadow and follow the pull to track down the danger Earl has told him about. Winifred, Sam, and Dan decide to come along with Rhett and Earl and they make quite the troupe of characters. While Rhett might want to burst into Trevisan’s camp and break up whatever evil scheme is playing out, that’s not the right move and it wouldn’t be as enjoyable as what does happen. The group works together to learn more about Bernard Trevisan, the way he runs his railroad camp, the horrible way he treats his workers as little better than dumb beasts to be used as labor until they give up, and the dynamics between the characters work well. Rhett has learned more about himself and continues to figure out how to use his abilities while also facing a few setbacks throughout the book which help him continue to mature. The blend of fantasy and western elements give this series a lot of directions to explore and further adventures should continue to give it more depth.